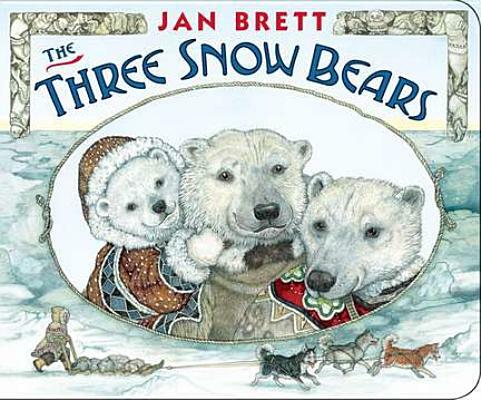 Jan Brett's board book audience will love this brief version of a favorite tale in which Aloo-ki, an Inuit girl, meets a polar bear family. When Aloo-ki's sled dogs float away on an ice floe, she goes looking for them. She comes upon an igloo with no one home and goes inside. In the meantime, Mama, Papa and Baby Bear swim out and rescue Aloo-ki's dogs. They all go home for breakfast to find a surprise visitor curled up in Baby Bear's bed for a nap.